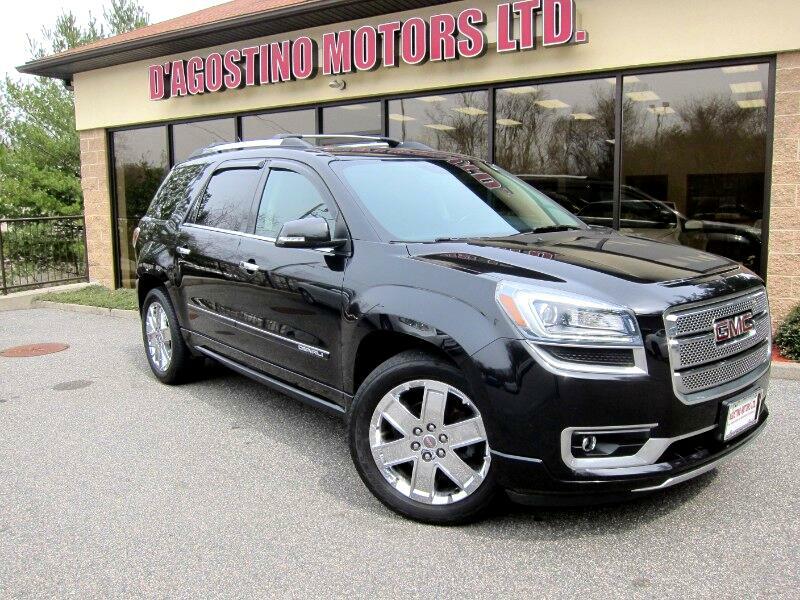 Used 2013 GMC Acadia Denali AWD for Sale in Smithfield RI 02917 D'Agostino Motors Ltd.
JUST ARRIVED !!! CLEAN CARFAX !!! ABSOLUTELY BEAUTIFUL !!! ABSOLUTELY LOADED !!! 20'' CHROME WHEELS !!! DUEL PANEL SUNROOF , NAVIGATION , BACK UP CAMERA , BLUETOOTH PHONE CONNECTIVITY POWER HEATED AND VENTILATED LEATHER SEATS , BOSE PREMIUM AUDIO SYSTEM , REAR DVD ENTERTAINMENT SYSTEM , 3RD ROW SEATING , Come Experience the D'Agostino Difference! We Go Through our Vehicles with a Fine Tooth Comb from All Mechanical Aspects to an Extensive Reconditioning and Detailing Process, Expect to View the Cleanest Vehicles in New England Guaranteed !! !